Slavo Enterprises is an Arizona-based company specializing in all-natural, artisan quality seasonings created for both the novice cook and the culinary enthusiast. 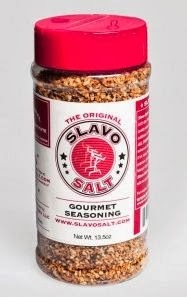 Get a free sample Slavo Salt. Click the link below to go to the Slavo website to fill in your mailing information.